Why Have an Ice Rink? Please see timetable below for ice rink skate session times. 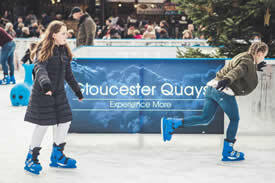 Christmasicerinks.co.uk is run by Christmas Ice Rinks Ltd, which is a company registered in England & Wales, Registration no. 07188465. Registered office address: 3 Stour House, Clifford Park, Clifford Road, Stratford upon Avon CV37 8HW.